Meets 4th Tuesday of each month at 1:00 P.M. In the latter part of the 1950’s there was a small new subdivision between 9th and 12th Avenues named Pineglades. 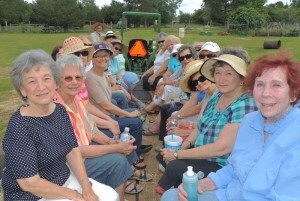 There was a group of young mothers and school teachers who wanted to form a garden club. 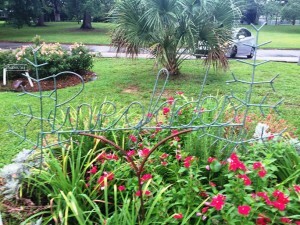 They did this in 1959 bearing the name: Pineglades Garden Club. It was a successful club from the beginning, always promoting Federation activities. Through the years this club has provided two Federation presidents, secretaries, board members, and two Gardeners of the Year. Pineglades has had some winning projects through the years including recently receiving the State Wildflower Award and the Civic Sunshine Award. Our club remains the largest in the Federation currently with 39 members, 8 of whom are life members. Many of our members are working in the Garden Center office. 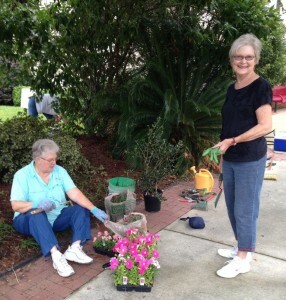 We meet at the Garden Center on the 4th Tuesday of each month at 1 p.m. We enjoy interesting programs about various plants, flower arranging, garden design, etc. Although no members actually live in Pineglades any longer, we are proud to still be known as the Pineglades Garden Club.